Morning. Coffee. Those two words I am hardly familiar with. I have always been a night owl and never a morning person. If I could, I'd have my way and sleep 10-12 hours every night! And coffee? I can barely stand the bitter taste of it! 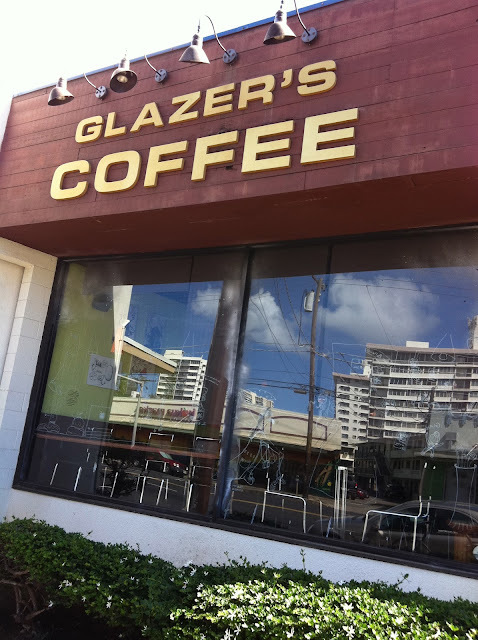 But, you know, Glazer's Coffee might have changed my mind. Had a meeting at 830am this morning and met at Glazer's Coffee on King Street by Fukuya and Sushi King. What a hidden gem this place is! 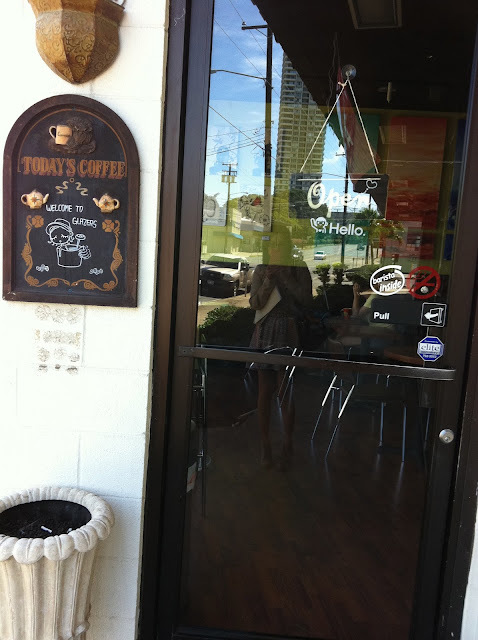 It is a lovely, cozy coffee shop that serves coffee, tea and the like, and also offers free wifi with any purchase. I also love this place for its home-y feeling and cute ambiance. Take a look in the bathroom to see what I mean. 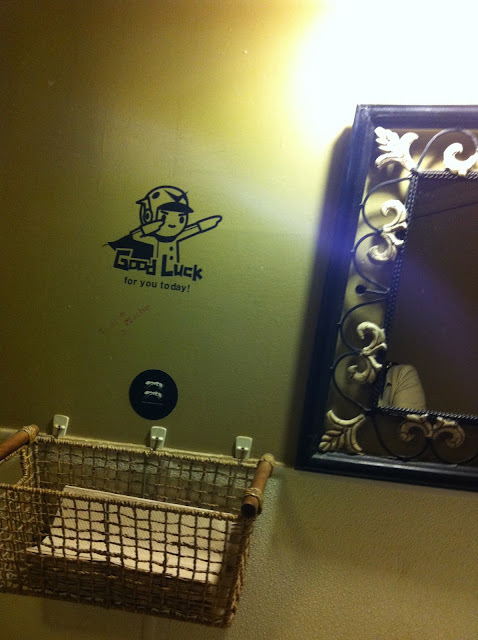 Witty quotes adorn the bathroom walls, as well as a welcoming chalkboard by the front door. 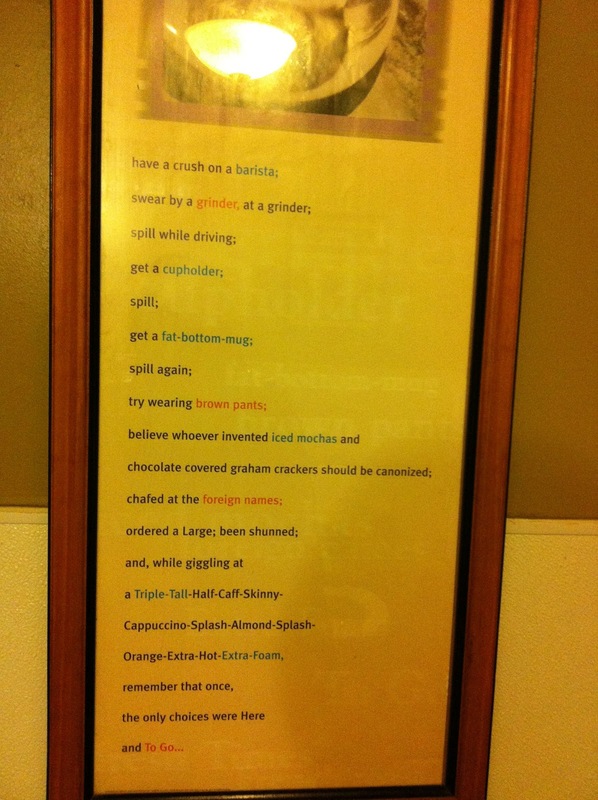 Why Starbucks and Coffee Bean don't stand a chance next to this place? Where else can you get art in your latte?! Nowhere. I've realized this is the only place in Hawaii that designs latte art. If I'm wrong, please correct me. And trust me, you don't know how long I've been searching for a place like this in Hawaii. After seeing so many cool designs from the mainland, especially SF, I've so longed for that for myself. Glazer's was so comfy that I really felt like I was in my own home with a large mug full of Chai tea and a pretty flower in the foam on top. Only thing missing was fluffy UGG boots, jeans and a Northface jacket. But then again, come on, who misses that when you live in Paradise. I'd say this is quite the win-win situation with Chai tea, cute latte art, and 80 degree sunny weather.